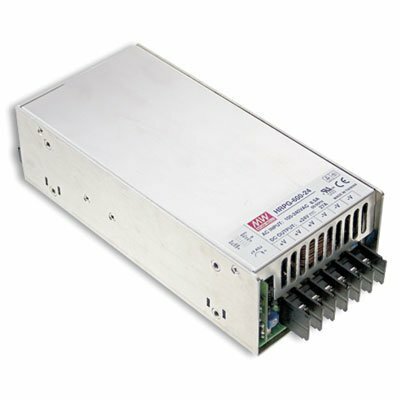 Mean Well HRP-600-24 Power Supply, Single output, Enclosed, 24 V, 27 Amp, 648 W, 8.6" L x 4.1" L x 2.5" H, Silver, 4.1" width, 8.6" Length. Product type - ac to dc power supply. Efficiency ( percent ) - 88. Type - auto switching. Mean Well HRP-600-24 Power Supply, Single output, Enclosed, 24 V, 27 Amp, 648 W, 8.6" L x 4.1" L x 2.5" H, Silver, 4.1" width, 8.6" Length. Unit Count : Power Supply.